Bootsy Collins & Snoop Dogg - "Undacova Funk"
Their debut LP, Stretchin’ Out in Bootsy’s Rubber Band, and their second release, Ahh…The Name Is Bootsy, Baby! equalled anything issued during Clinton’s peak period for idiomatic diversity, clever, bizarre humor, and outrageous lyrics. Both Ahh… and the third LP, Bootsy? Player of the Year, earned gold records and made it into the Top 20 on the pop charts. The single “Bootzilla” was his lone R&B chart topper in 1978, although “The Pinocchio Theory” also made the Top Ten. Collins recorded as both a solo artist and with the Rubber Band in the ’80s. He also did some special projects, such as a 1984 collaboration with Jerry Harrison of Talking Heads — using the name Bonzo Goes to Washington — that produced “5 Minutes (C-C-C-Club Mix),” featuring Ronald Reagan declaring nuclear war on the Soviet Union over a skittering rhythm track. 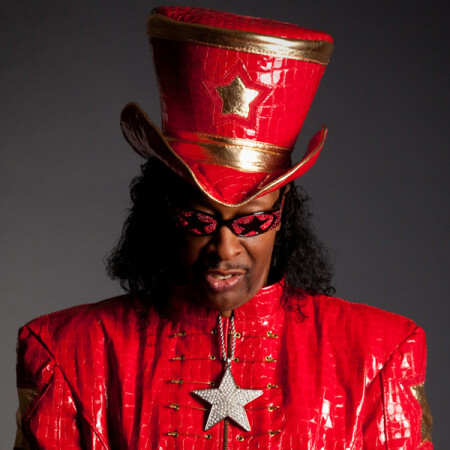 In 1988, he returned on Columbia with the appropriately named What’s Bootsy Doin’? In 1989, Bootsy was a member of the Bootzilla Orchestra on Malcolm McLaren’s album Waltz Dancing. One year later, he became a featured guitarist and bassist with the dance music trio Deee-Lite, signed with 4th and Broadway, and also toured England with a group co-led by Parker and Wesley. Bootsy’s New Rubber Band released Blasters of the Universe in 1994, and Fresh Outta ‘P’ University followed four years later. Numerous Collins live shows and reissues appeared as the 21st century opened, and in 2006, the bassist actually released a Christmas album, Christmas Is 4 Ever, on Shout Records. In 2011, a conceptual album, The Funk Capital of the World, landed, featuring everyone from Ice Cube to Samuel L. Jackson on the guest list. Collaborations avec Snoop Dogg, Ice Cube, Buckethead, Chuck D, Sly Stone, Charlie Daniels, Dave Stewart, Red Hot Chili Peppers, Fatboy Slim, Bernie Worrell, Del McCoury, Doc Watson et tant d’autres. Bootsy Collins fait ses classes de bassiste dans l’orchestre de James Brown avant de rejoindre George Clinton dans l’aventure Parliament et Funkadelic au début des années 1970. Il mène également une carrière prolifique avec son Bootsy’s Rubber Band et en solo, notamment sur Ahh…The Name Is Bootsy, Baby! (1977) et Bootsy? Player of the Year (1978), et tout au long des trois décennies suivantes. William Collins dit Bootsy Collins naît à Cincinnati (Ohio), le 26 octobre 1951. Il n’a que seize ans quand son idole James Brown le recrute pour jouer dans son orchestre en 1969. 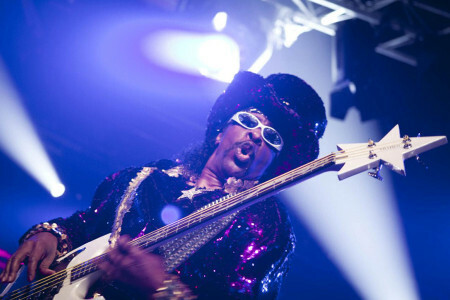 Bootsy Collins est alors le bassiste des Pacesetters avec son frère, le guitariste Phelps Catfish Collins, Philippe Wynne (futur chanteur de The Spinners) et Frankie Waddy (batterie). Ils deviennent alors The J.B.’s jusqu’en 1971 quand a lieu la scission de l’orchestre. 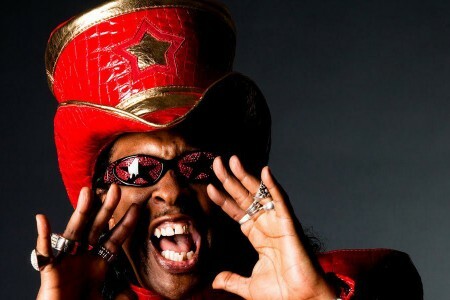 Bootsy Collins rejoint donc George Clinton, son alter-ego en excentricité, dans le groupe Parliament et son corollaire Funkadelic. 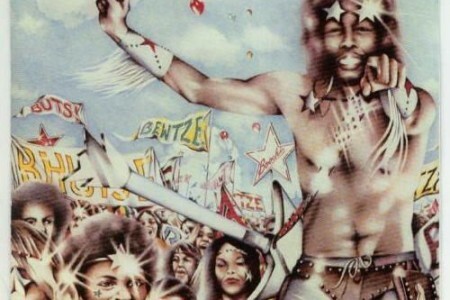 En 1976, il forme son Bootsy’s Rubber Band avec son frère et Waddy plus Robert P-Nut Johnson (chant), Joel Razor Sharp Johnson (claviers), Gary Mudhone Cooper (batterie) et la section de cuivres The Horny Horns. 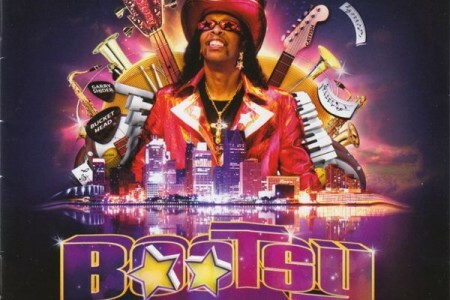 Le groupe démarre avec le single classé « Stretchin’ Out (In a Rubber Band) » en 1976, suivi de « The Pinocchio Theory » (1977) et le n°1 « Bootzilla » (1978), extraits des albums Ahh…The Name Is Bootsy, Baby! et Bootsy? Player of the Year. C’est la période faste de Bootsy Collins pour Warner qui se clôt trois albums plus tard en 1982. Après un long silence discographique compensé par d’intenses tournées, le bassiste revient en 1988 chez Columbia avec What’s Bootsy Doin’?. L’année suivante, il collabore avec son Bootzilla Orchestra sur l’album Waltz Dancing de Malcolm McLaren, puis avec le trio Deee-Lite en 1990. Le Bootsy’s New Rubber Band remodelé sort Blasters of the Universe en 1994 et Fresh Outta ‘P’ University en 1997, tout en menant de longues tournées mondiales. L’album de Noël Christmas Is 4 Ever sort en 2006.